Yep you're reading correctly! Glamorous MakeUp turns ONE!! Yay! :D I can't believe an year has already passed since I wrote my first post...Loads and loads of things have happened and in this post I'd like to celebrate OUR birthday with you all! Yes, because it's my birthday too!! In fact I had decided to open this blog on my birthday as it's something personal, about me and my experiences with makeup! ...Is a must because I have to thank you all for always reading and commenting and being so kind! Without you, my dear readers, I wouldn't have gone so far! (If it's "far" where I've gone! xD). Lidia: she is my point of reference and blogger model and she was the first follower of my blog and encouraged me to keep on writing and doing my best to improve not only my English, but also my "blogging", if we should name it like that...So, thank you so much Lid! I'll always owe you a lot! Fiamma who started following me at once with Lid and with whom I always talk about so many topics ( and we often happen to share the same feelings and point of view). She shows me everyday that to do this "job" we have to be beauties...with a brain!!! (hence the catch-phrase of her blog) ;D Moreover she has given me so many tips on makeup privately but also on her YouTube channel...Thank you so much! ...E' d'obbligo perchè voglio ringraziare tutte voi che leggete e mi commentate e siete sempre cosi carine con me... Senza di voi, il mio blog non avrebbe fatto i passi avanti che ha fatto e non sarei qui a scrivere questo post ora!! Lidia, il mo faro, il modello di blogger a cui io faccio riferimento (ma dovrebbe essere a mio avviso il modello di riferimento di molte bloggers!) che è stata la prima a seguirmi e ad incoraggiarmi e spronarmi nello scrivere (in inglese soprattutto!) e nel "bloggare" xD...Grazie infinite sweetie! Ti devo davvero molto! In this year I've learned so much from you and from other beauty bloggers and I've discovered so many wonderful people that I wouldn't have imagined this world to of beauty blogging to be so ...great! Once more, thank you thank you thank you!! To each and everyone of you! This day is special also because of you all and as long as I'll keep writing and (filming videos XD) I'll do that to show my experiences...to you! In questo anno ho imparato cosi tanto da voi e da tutte le beauty bloggers che seguo e con cui mi tengo in contatto e ho scoperto che ci sono tantissime splendide persone dietro a tutti questi blog che mi hanno fatto scoprire un mondo...stupendo! Ancora una volta grazie, grazie grazie! A ciascuna di voi! questo giorno è speciale anche grazie a voi e finchè continuerò a scrivere (e fare video xD) lo farò per condividere le mie esperienze...con voi! 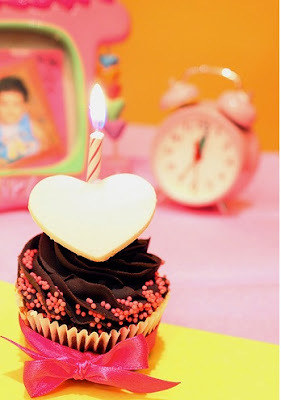 Happy blog-versary and happy birthday!! aaaaaw, Ari, non so come ringraziarti! Che carina che sei! E comunque sappi che a me il tuo blog è piaciuto tantissimo da subito e lo trovo ogni giorno più bello! continua così, perchè le visite, i commenti e i follower sono tutti strameritati! un bacio grande con l'augurio che sia solo il primo di tanti anni di soddisfazioni! Aruuuuu! Tantissimi doppi auguri! I complimenti per il blog ormai son quasi retorici quindi mi limiterò a dirti di continuare così perchè per me sei un grande esempio da seguire! a te e al tuo splendido blog!!! Auguri!!! a te per il tuo compleanno e a questo blog affinchè ci faccia sempre compagnia. speriamo di poterci rivedere presto più che altro! Tutti i nostri commenti e tutte noi followers ti seguiamo perchè lo meriti davvero! !